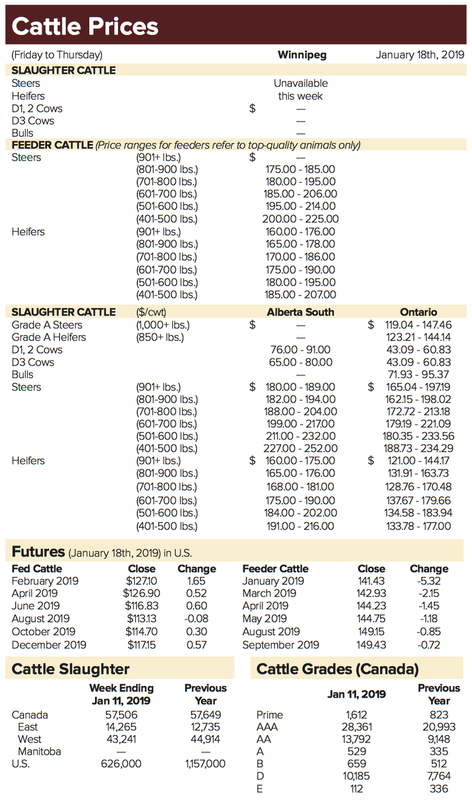 Manitoba cattle auctions were busy during the week ended Jan. 18, with solid prices for the large numbers moving through the rings in most locations. 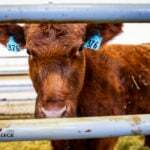 About 4,700 head of cattle were marketed in the province’s major auction yards during the week, up considerably from the previous week as activity picked up following the holidays. Some producers didn’t like the cow prices in the fall, so they decided to wait and take their chances with selling in the new year. 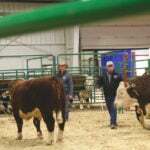 With feed supplies now tightening, those animals are finally coming to market. Munroe related the story of one producer who had started the season with a 200-foot-long silage pile which was now down to 100 feet, having shortened quicker than expected. As a result, the producer was upping his sales plans. 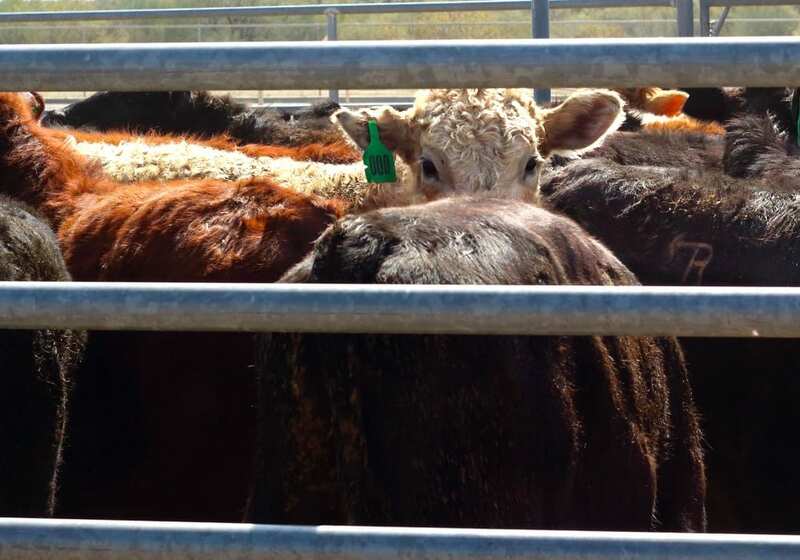 Demand was coming from all directions, and Munroe said it looked like more cattle were going south to the United States than had been before Christmas. While U.S. demand is susceptible to exchange rates and movement on the futures, “if they have the most money, we’re happy to sell to them,” said Munroe. While Canadian dollar has strengthened in recent weeks, it’s still generally soft overall at about 75 U.S. cents. Adverse weather in the southern U.S. “perked up” the fat market during the week, while Canadians dealt with extreme cold. The cold was expected, given it’s the middle of January, and Munroe noted that dealing with the cold was much better than dealing with mud. Fat live cattle futures hit some of their best levels of the past year on the Chicago Mercantile Exchange during the week. However, feeder cattle futures were under pressure. Looking ahead, the auction yards are expected to remain busy heading into February, as market participants continue to deal with tightening feed piles. 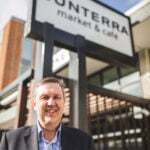 Phil Franz-Warkentin writes for MarketsFarm specializing in grain and commodity market reporting.